Alynia Phillips, "The Multiracial Option: A Step in the White Direction," California Law Review, Volume 105, Issue 6 (2018), 1875-1876. https://dx.doi.org/10.15779/Z38H98ZD1S. Thomas Jefferson had three daughters: Martha and Maria by his wife, Martha Wayles Jefferson, and Harriet by his slave Sally Hemings. In Jefferson’s Daughters, Catherine Kerrison, a scholar of early American and women’s history, recounts the remarkable journey of these three women—and how their struggle to define themselves reflects both the possibilities and the limitations that resulted from the American Revolution. Although the three women shared a father, the similarities end there. Martha and Maria received a fine convent school education while they lived with their father during his diplomatic posting in Paris—a hothouse of intellectual ferment whose celebrated salonnières are vividly brought to life in Kerrison’s narrative. Once they returned home, however, the sisters found their options limited by the laws and customs of early America. Harriet Hemings followed a different path. She escaped slavery—apparently with the assistance of Jefferson himself. Leaving Monticello behind, she boarded a coach and set off for a decidedly uncertain future. For this groundbreaking triple biography, Kerrison has uncovered never-before-published documents written by the Jefferson sisters when they were in their teens, as well as letters written by members of the Jefferson and Hemings families. She has interviewed Hemings family descendants (and, with their cooperation, initiated DNA testing) and searched for descendants of Harriet Hemings. 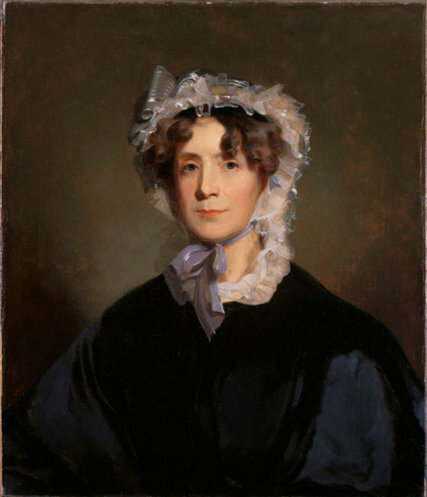 The eventful lives of Thomas Jefferson’s daughters provide a unique vantage point from which to examine the complicated patrimony of the American Revolution itself. The richly interwoven story of these three strong women and their fight to shape their own destinies sheds new light on the ongoing movement toward human rights in America—and on the personal and political legacy of one of our most controversial Founding Fathers. Illustrated. 425 pp. Ballantine Books. $28. Fawn Brodie would be astonished — and gratified. In 1974, her biography “Thomas Jefferson: An Intimate History” contended that the third president had fathered children with his slave Sally Hemings. For this, Catherine Kerrison, a professor of American history at Villanova University, accurately notes, Brodie was “excoriated by a cadre of Jefferson experts.” A lot has changed, and largely because of the work of Annette Gordon-Reed, who took seriously Hemings family stories and, bolstered by a DNA study, convinced nearly all scholars, including Kerrison, that Brodie was correct. “Jefferson’s Daughters,” Kerrison’s beautifully written book, takes the relationship’s existence as a given. Martha Jefferson was Virginia elite. Her half-sister Harriet, though seven-eighths white, was deemed a slave at birth. No one could have predicted their fates. Martha Jefferson was born in 1772, just as Monticello was rising above her, promising a life surrounded by beauty, luxury, and pampering. For the first ten years of her existence this promise held, but in 1782 Martha’s mother died, leaving a father incapacitated by grief, but still a father in pursuit of his daughter’s future happiness. He set out a stringent regimen of study which included reading, writing, literature, languages, music, art, and dance. Two years later, Martha and her father traveled to France, joined later by Martha’s younger sister and her enslaved maid, Sally Hemings. In France Martha boarded at a convent school and received a formal education few other American women of the day would acquire in their lifetimes. At her father’s Paris residence, she received another kind of education, conversing with world leaders and learning, among other things, that there are countries where slavery was illegal. “I wish with all my soul that the poor Negroes were all freed,” she wrote her father from school. She listened eagerly as her father and his secretary, William Short, talked of plans to set up their slaves as free tenant farmers when they returned to Virginia. But the 17-year-old Martha listened eagerly to William Short for another reason—she had fallen in love and her father had taken note; he abruptly took Martha, her sister, and Sally Hemings—who was pregnant with Thomas Jefferson’s child—back to Virginia.